With new studies and research being conducted every day and an abundance of unvetted information on the Internet, it is difficult to find reliable, practical information about medicine and health. Nutrition guidelines change dramatically from decade to decade, new disorders are constantly being discovered, and surgical and medical treatments are improving almost daily. In this environment more than ever, it is important to have a current, trusted source of information on everything from mental health to prenatal care. Accurate information on the human body and how to keep it healthy is essential to students, parents, medical and health practitioners, and general readers. 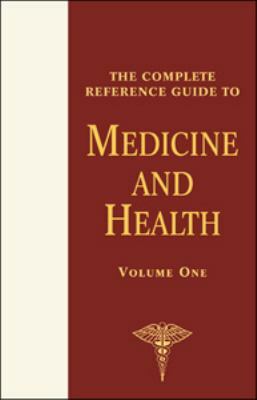 The Complete Reference Guide to Medicine and Health provides this and more in a valuable four-volume set. Compiled by a number of qualified authors and contributors, this up-to-date guide leads readers through the often confusing world of health and medicine. Providing accessible information on symptoms, causes, and treatments for just about every medical problem, this encyclopedic set offers clear descriptions—frequently accompanied by photographs, illustrations, and diagrams—of significant diseases, illnesses, and more. Complete, authoritative coverage includes the basic body functions, general nature of illnesses, and probable course of corrective action, as well as sections on matters of personal and social interest, drug and alcohol abuse, physical fitness, and the stages of life. Written in simple, non-specialist language, The Complete Reference Guide to Medicine and Health is a highly attractive, easy-to-understand resource for people of all ages. The straightforward text is enhanced by color inserts, black-and-white photographs and illustrations, and clear diagrams, helping the reader understand difficult concepts and visualize what is being explained. A general index and an extensive glossary in the fourth volume make research easy. With detailed explanations of the human body, life, and death; diseases such as diabetes and cancer; mental and physical disorders; nutrition and health; drugs, surgical procedures, and treatments; and much more, The Complete Reference Guide to Medicine and Health is an indispensable guide that will benefit both personal and public library collections.Wagman, Richard J. is the author of 'Complete Reference Guide To Medicine And Health', published 2004 under ISBN 9780816061440 and ISBN 0816061440. Loading marketplace prices 7 copies from $15.92 How does the rental process work?